Notify me of updates to Personal Initial Pendant in Cubic Zirconias and Sterling Silver, 18" "K"
Top » Catalog » BESTSELLERS » 925-53-701-1351 » Personal Initial Pendant in Cubic Zirconias and Sterling Silver, 18" "K"
Personal Initial Pendant in Cubic Zirconias and Sterling Silver, 18" "K"
This initial pendant is fashionably chic. It’s stunningly crafted in fine sterling silver and brilliant cubic zirconias for the ultimate in eye appeal. Use one initial or spell out your name. This charmer makes a perfect gift for family and friends. Initial: K. Necklace: 18”. 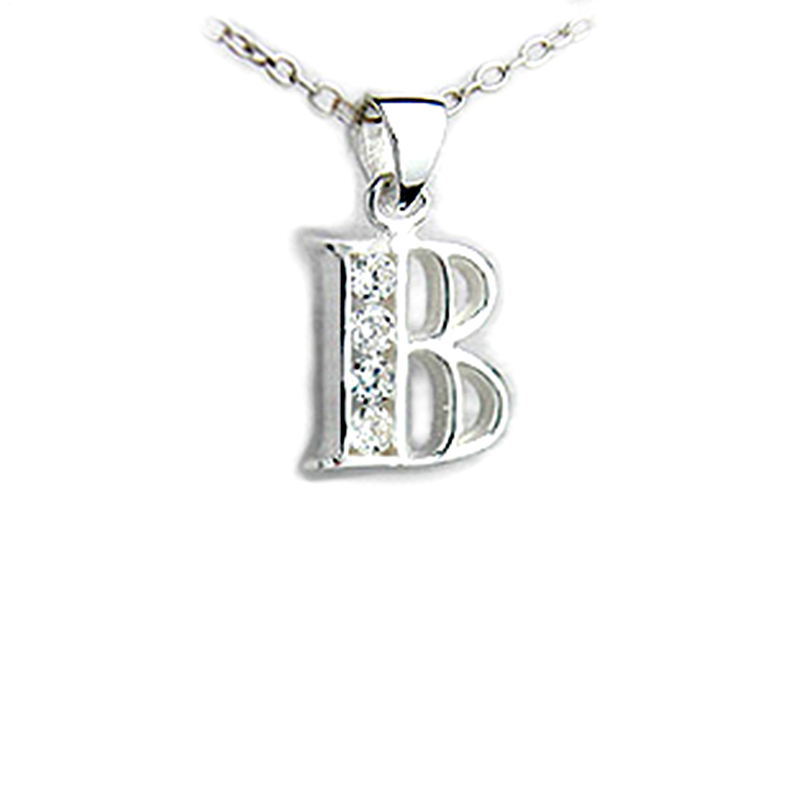 Personal Initial Pendant in Cubic Zirconias and Sterling Silver, 18" "B"